Location is wonderful on the beach just behind a lagoon, villas are huge and beautiful with magnificent views and, bath salts are a plus! Staff are attentive but discreet and kind. Food is delicious and of course the cocktails! The restaurant and the food at Travessia are just superb. The Villas are luxurious, spacious and face the aquamarine ocean. 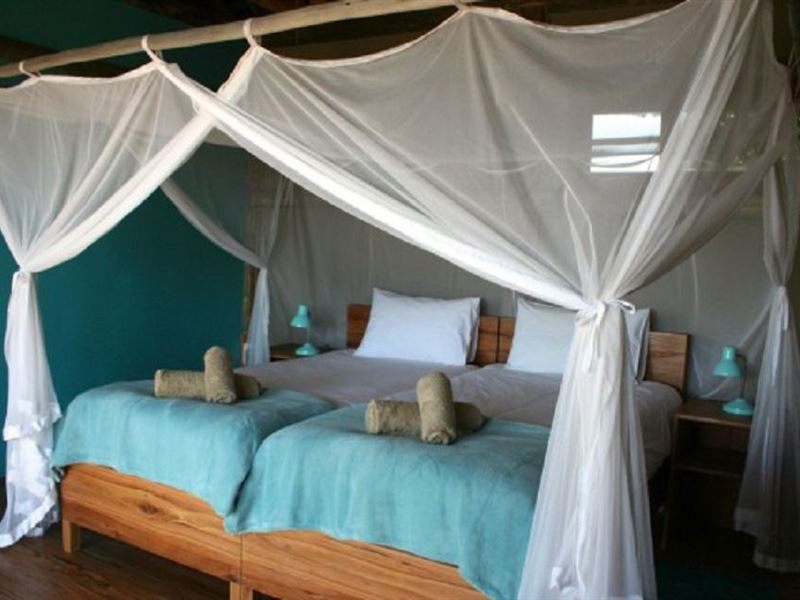 Travessia is an Eco Beach Lodge that is all about understated barefoot-luxury. 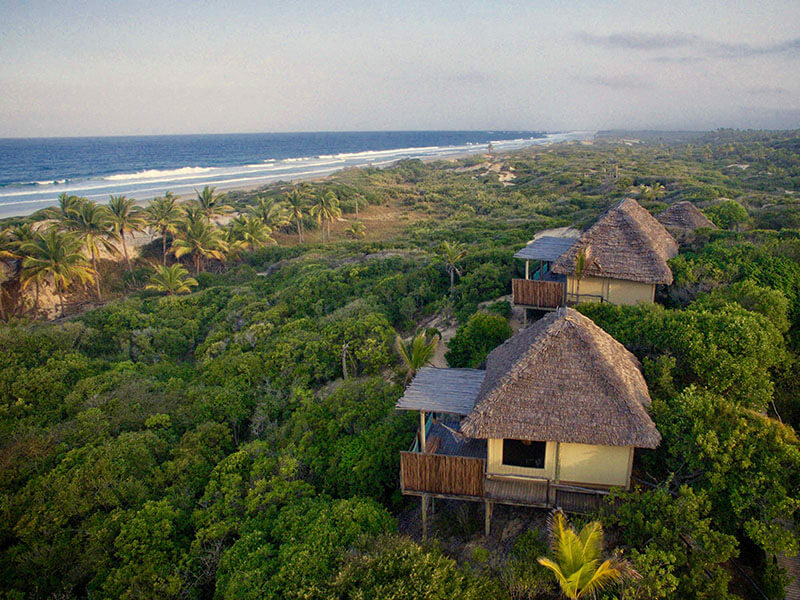 The secluded casas have 180° sea views, spacious decks, a hammock, and en-suite outdoor showers. 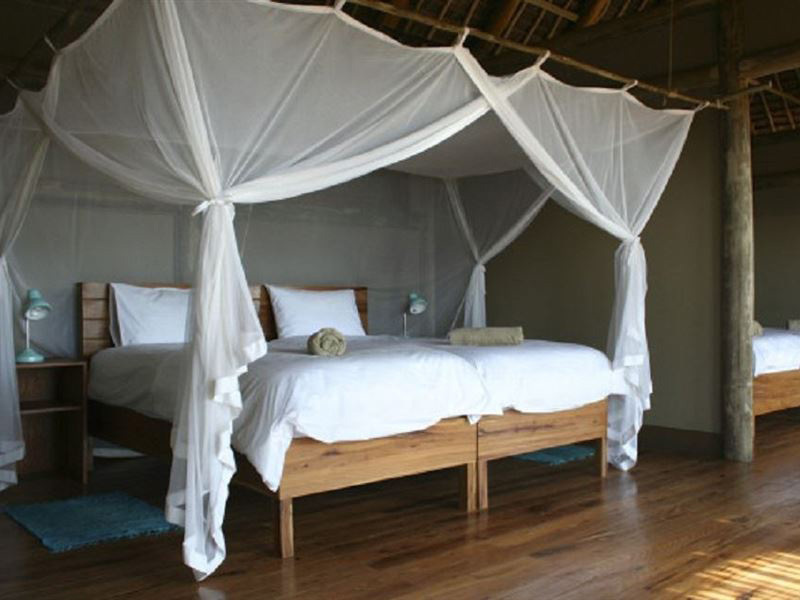 The lodge is built on raised wooden decks with timber or roll-up canvas walls under a thatched roof. 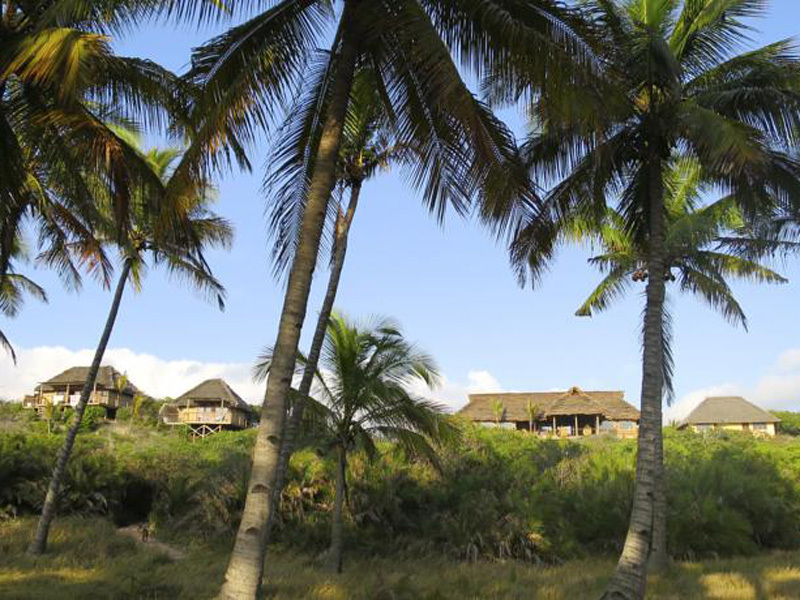 The lodge is entirely solar powered – ensuring a light environmental footprint. 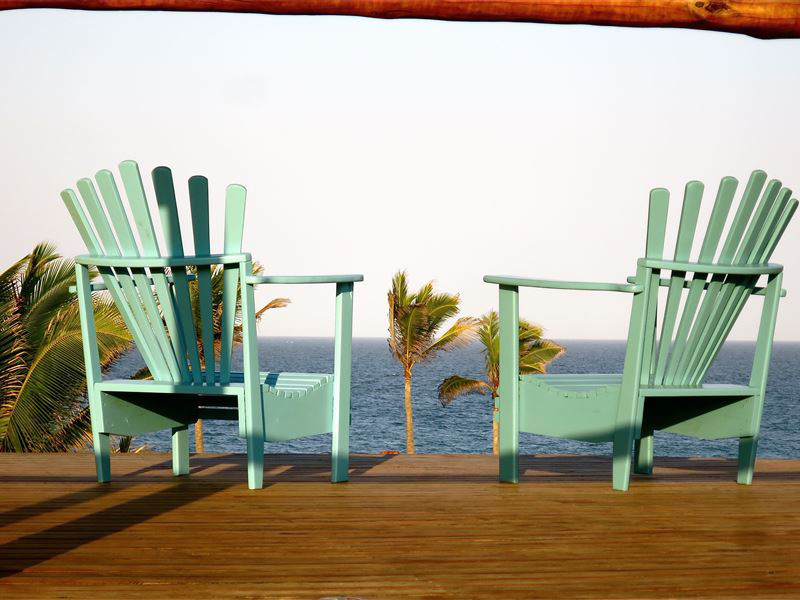 Take a walk on an endless beach, relax in the shade of our palm grove, paddle out or gaze at the sea from a rim flow pool or accept an invite from the neighboring community. Sophisticated whilst down to earth, with no-one around for miles, Travessia is for families, individual travelers and couples alike. 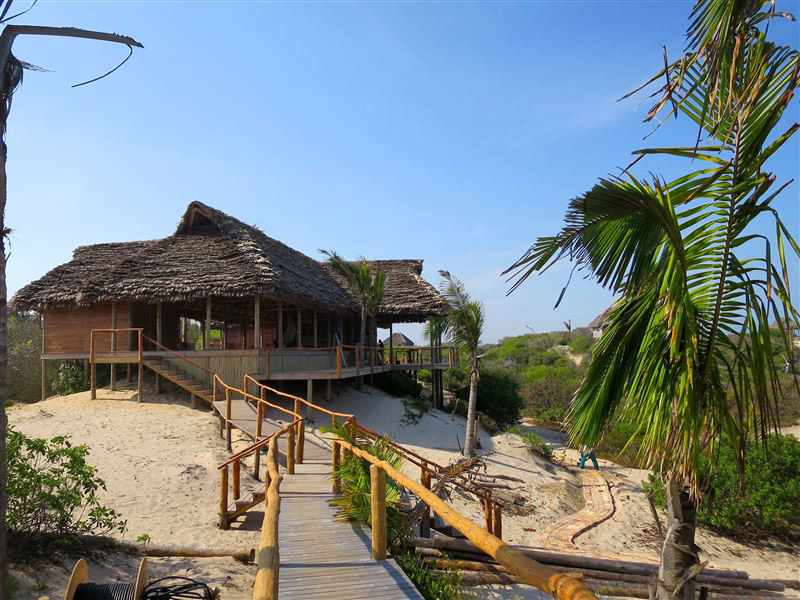 Travessia Beach Lodge is situated between coastal forest and palm trees on the dunes along an endless beach. 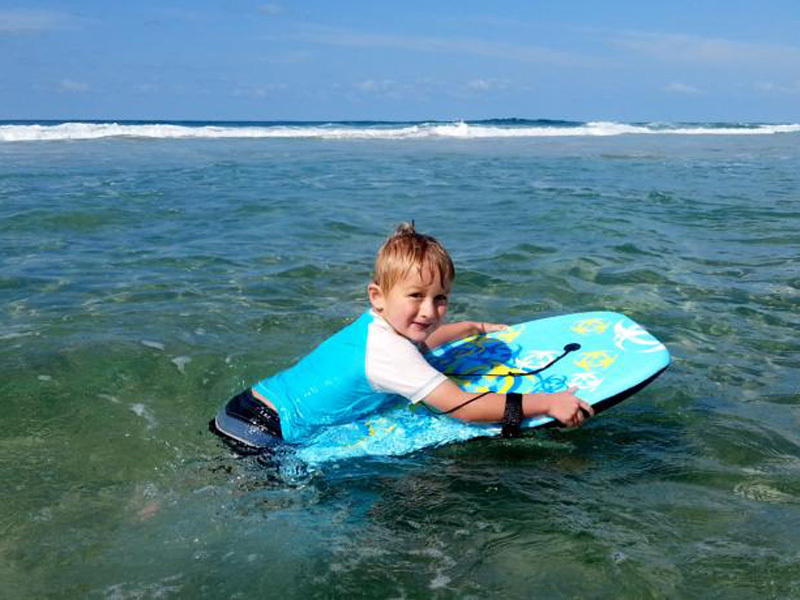 At low tide, the surf is perfect to take the canoe for a paddle and both children and adults will enjoy boogie boarding whilst the little ones love the small natural “pools” that are created when the tide goes out. 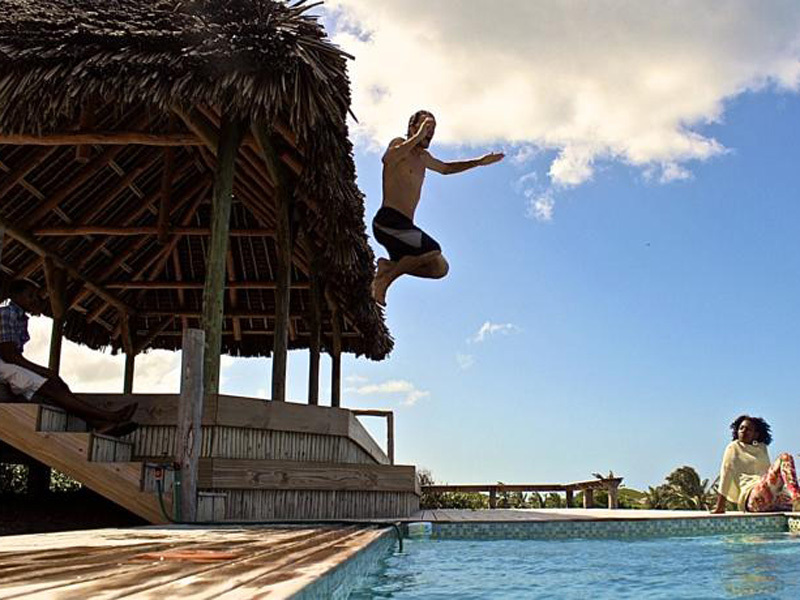 Not in a protected bay with flat water like Vilankulos or Tofo. 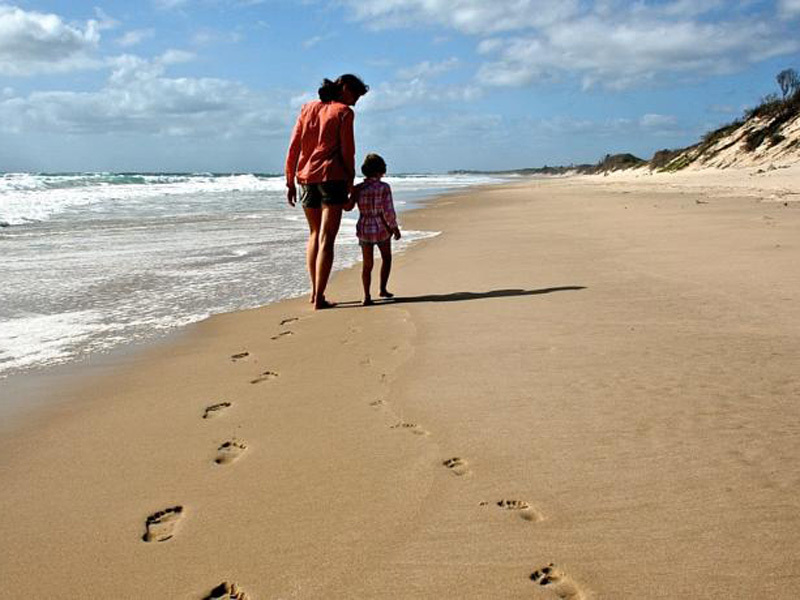 This means that there is always a bit of a surf and at low tide, you don’t have to walk for miles to get to the water. You will have the beach almost entirely to yourself, except for the local fishermen and the occasional children or women from the neighboring village. There are no hawkers trying to sell you local curios. Depending on the weather offshore, you will find plenty of different shells and bleached coral on your beach walk. The Travessia team keeps our beach clean by regularly collecting all waste that gets washed up on the beach a few hundred meters up and down our property. There is a definition of romance that describes it as a “quality or feeling of mystery, excitement, and remoteness from everyday life”. For couples seeking out that level of romance, Travessia might well be the ideal spot. Leaving the tar road and making your way along a sandy track that winds itself through the coastal palm forest, you get that sense of being cast-away. At some point, you will think you must be lost until eventually, you catch the first glimpse of the sea. Minutes later you will reach Travessia Beach Lodge. The elevated casas have been carefully positioned to maximize views and privacy. If you are craving solitude, dinner on your own deck, under the stars, breakfast in bed or a beach picnic for two are all ideas which it will happily turn into reality for you. The open plan family room sleeps four people in King or Twin beds and there is even room for a third bed or baby cot to accommodate families of five. There is lots of space for children to roam around without getting in the way of those seeking tranquility. Being a small lodge allows us to be flexible most of the time. If the kids don’t want to leave the beach for lunch, then lunch comes to the beach as a picnic with sandwiches, fruit or other finger food. Talking about food, we also think their food is family friendly. A fusion of Southern African – European comfort food with as much fresh fish, seasonal fruit and veggies can be sourced is served. If you absolutely have to check your emails, we recommend buying a local Sim card with mobile data. It will still not be a 100% fast and reliable connection, however, we highly recommend a digital detox for the period of your stay and using remoteness as an excuse to your work colleagues for being offline for a few days. 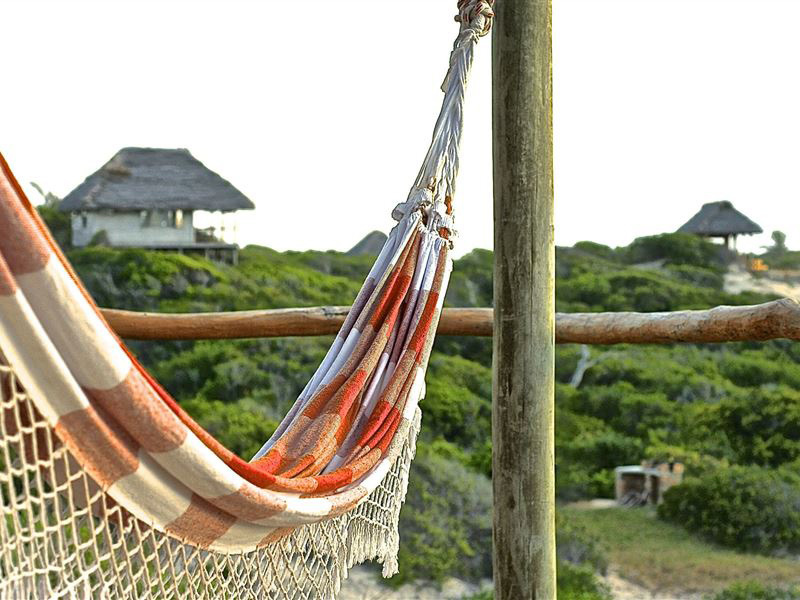 You may soon find yourself adapting to the Mozambican time. Boogie boards and canoes on site. 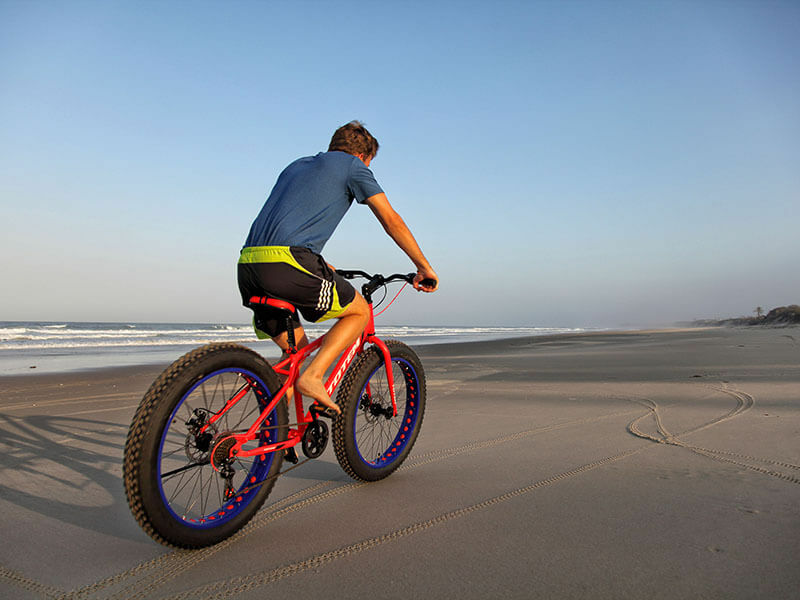 Two fat bikes are available for rides along the beach or through the coastal forest. 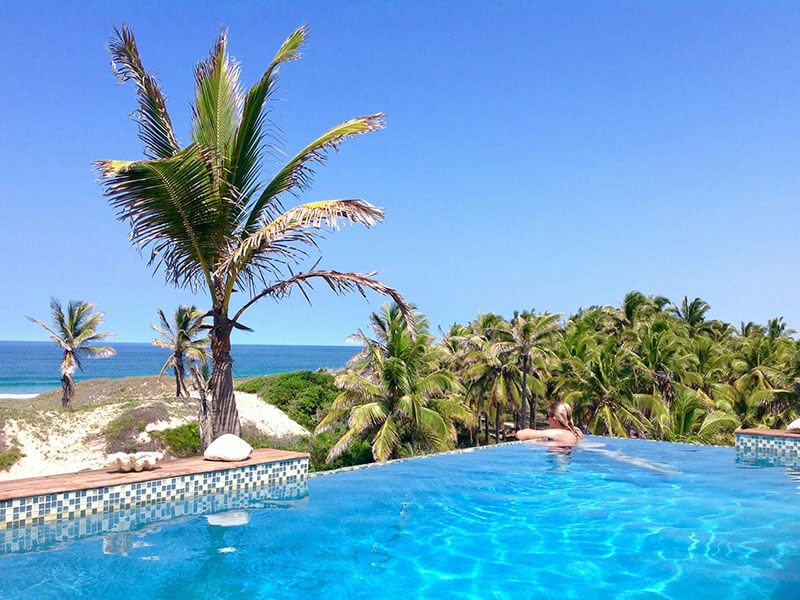 Travessia is approximately 52 km North of Maxixe, and 28 km South of Massinga on the beach, with the last 6.5 km being a sand/dirt road through palm forest off the EN 1 National Road. Travelling from Maxixe, continue on the EN1 through Morrumbene. Approximately 18 km after Morrumbene, after crossing the small Panga River, the road goes up hill when you see a small fluorescent Travessia sign and a sign for Morrumbene Beach Resort. This is where you turn right onto the narrow dirt/sand track and keep following the arrows. Travelling from the North, follow the EN1 through Massinga and take the same turn off after approximately 21 km. Please note that the turnoff is not too obvious as the road is very narrow and there is no signage other than the one mentioned. There are however a handful of small huts and brick houses next to the turn off.